If you are planning to visit Baja in the coming year, then Mexican auto insurance thru MexicanInsuranceStore.com is important to consider during your preparation. You may be thinking about a winter trip to see whales in Baja del Sur. 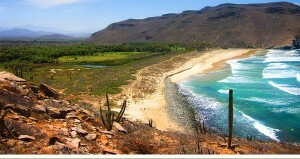 You might be thinking about a camping vacation of the beaches of Baja Norte. In either case, you can select the best Mexico insurance from MexicanInsuranceStore.com to cover your potential liabilities in case of a collision. Mexican auto insurance thru MexicanInsuranceStore.com is now necessary in order to drive on any highway in Mexico. How Much Mexico insurance from MexicanInsuranceStore.com Coverage Is Necessary? Your liability limits in Baja will vary based on whether you will head to the southern part of the peninsula or not. The death benefit in Baja del Sur is more than twice that in Northern Baja, meaning that you will need to select more extensive coverage for a trip beyond the border of Baja Norte. Mexican death benefits have been based on the average income in each state, and survivors of a citizen who is killed in an accident are entitled to the equivalent of 5,000 days’ compensation. Although benefits are lower for Baja Norte, you may want to consider higher limits when you buy your Mexican auto insurance thru MexicanInsuranceStore.com. In a multi-fatality incident, you could face serious legal and financial results if your coverage is lacking. Do some comparison on prices when you get a quote for Mexico insurance from MexicanInsuranceStore.com so that you can determine whether you can afford to cut corners on this coverage. Mexican auto insurance thru MexicanInsuranceStore.com – Will My Damages Be Covered? If you opt for the minimum coverage required when you get your Mexican auto insurance thru MexicanInsuranceStore.com, you may later regret the decision. Liability-only coverage is your minimum obligation under Mexican law. However, you owe it to yourself to evaluate the impact a serious wreck could have on your own finances. If your vehicle is totaled, will you be able to replace it without help? Full coverage Mexico insurance from MexicanInsuranceStore.com isn’t significantly more expensive than liability coverage, and cutting corners on this coverage could leave you without the means to repair or replace your car. Although nobody plans to have an accident, your consideration of the possibility will allow you to be prepared for the worst so that you don’t have to worry if something goes amiss. If you have time and money, then you can have plenty of entertainment in Mexico as their beaches are just tip of the ice berg. Wait as the night befalls showcasing marvelous hotels and extravagant restaurants for your amusement.